Can’t Choose Between A Pie And A Crisp?? Now You Don’t Have To!! 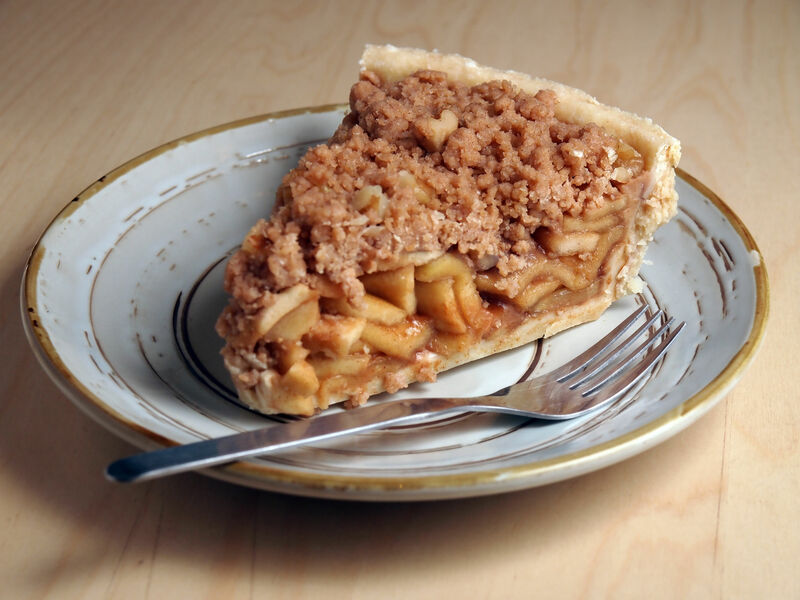 When it comes to the plethora of pies, crisps and crumbles out there, it can be an incredibly difficult decision to choose just one…that’s why this apple crisp pie is the absolute best, because it’s combines two of those categories, pies and crisps, and turns them into one, delicious dessert! Whether you decide to go with a homemade crust on the bottom, or use store-bought is totally up to you, just make sure you follow our filling and topping recipe to a T for the most delectable combo you could imagine! You won’t regret it! Roll out pie dough and carefully transfer it to pie plate. In a large bowl, toss apple slices in lemon juice, making sure each piece is coated. In a small bowl, stir together butter and flour until smooth. Pour over apples, then mix in sugar, vanilla, cinnamon and salt, and mix together. Pour apple mixture into pie crust and set aside. In another large bowl, combine oats, sugar, flour, cinnamon, nutmeg and salt and toss together. Cut in cold butter until mixture is coarse and crumbly and resembles small pebbles. Evenly spread crumb mixture over your apples, making sure to get it around the edges of the dish. Cover edges of crust with aluminum foil and place pie dish in oven. Bake for 50-55 minutes, removing foil after 25, or until crisp topping is deep golden brown and filling is bubbly. Remove from oven and let cool 5 minutes before serving with whipped cream or ice cream.